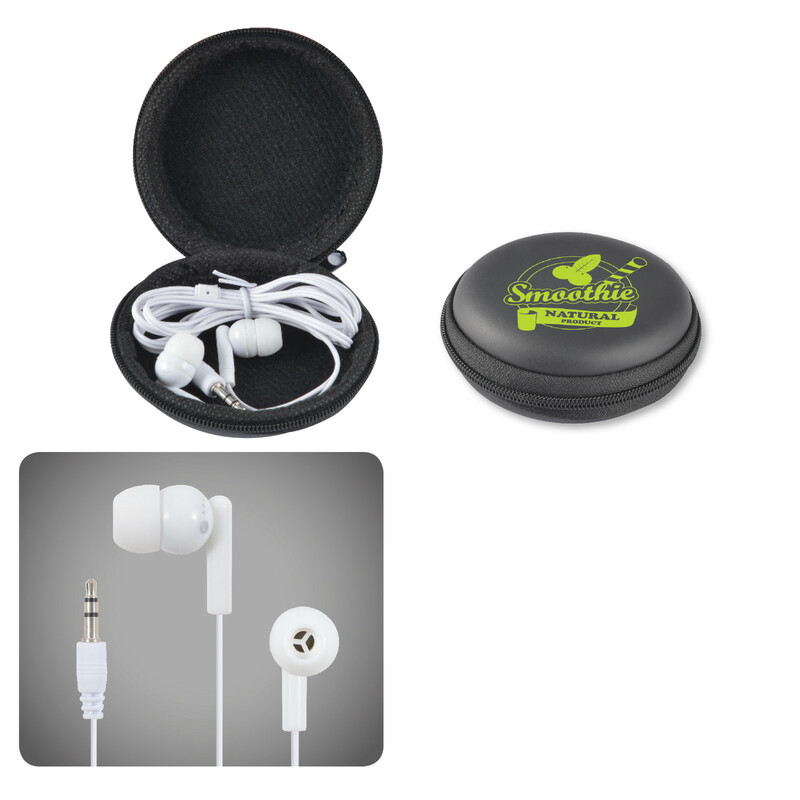 Earbud set in round EVA Zippered Case. Fits most phones and media players. 1.2m lead with 3.5mm audio jack.